The WindTech 10379 (similar to 1100 Series) windscreen is designed for use in high wind applications for lapel, lavaliere and headset type microphones. 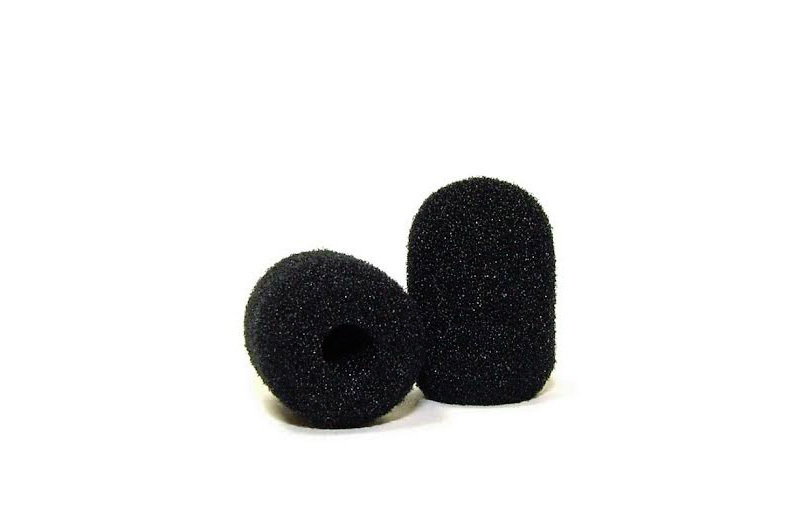 It is made of High Density Military Grade S80 SonicFoam™. It also includes Carnauba water wicking treatment as used in other WindTech Military products. Perfect for live broadcast news, outdoor events and general use, as there is virtually no affect to the microphone’s frequency response. 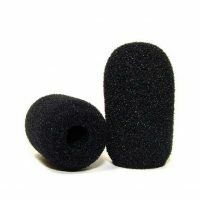 The 10379 windscreen offers 5 to 15db of wind noise protection depending the microphone being used. AKG C407, C417, CK970, CK99L. Audio Technica AT803B, 830R, 831, 837, 855, 859. ATM15, 73A. ES915, ES933, ES943. PRO7a. Audix ADX10, ADX40. TR-40. Beyer MC5, MC6, MCE10. Countryman EMW. Crown GLM100, GLM200. Earthworks QTC, TC, M. Electro Voice HM-1. Gentex 5070. Lectrosonics HM142, HM152, HM162, M119, M140. Lightspeed TX-170. MicW E418, E436, i436, M416. Samson QV. Sennheiser HSP4. Shure SM93, 99, WCM-16. Sony ECM-30. Special Projects SP2000, SP5200, SP5251, SP5252, SP5255, WPHS-746, WPHS-756. Telex PH21, 22, 23. Tram TR-50.